“I’ve actually spent most of my week away from Manchester; Thursday I was in London with colleagues from across the Chamber network for the British Chambers of Commerce Strategic Policy Group meeting – more on this next week. 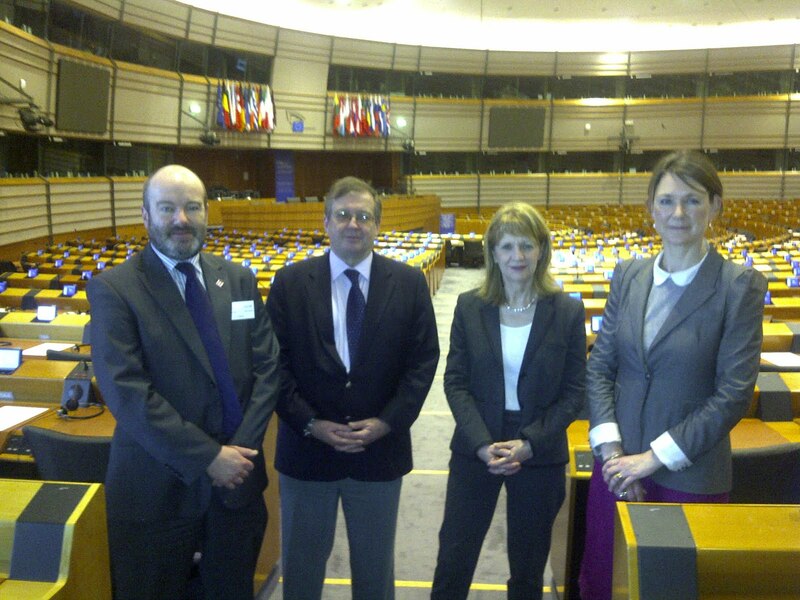 “On Tuesday and Wednesday the Chamber’s Chief Executive, Clive Memmott, Baroness Beverley Hughes and I, spent some time in Brussels meeting with a number of MEPs and organisations that work over there. As you may already know, the Chamber has spent some time recently in developing greater links with our MPs in Greater Manchester and now have a series of regular briefings scheduled with them on business issues. The visit this week was designed to help to do the same at a European level. “Most people's first reaction when mentioning the work of the EU is a combination of negativity, complexity and apathy. I'm not going to shatter any illusions or disavow anyone of their ideas, but we heard some really worrying things this week about a number of areas. We heard about: possible new laws being discussed - the Ergonomics Directive being a classic example; the lack of any real firepower being given by the UK to quite important issues - I sensed a level of frustration from the MEPs about this and, finally, the overwhelming layers of organisations, not all public sector I must point out, that work in the policy bubble that surrounds the European Parliament. “Add into this mix recent issues that members have raised about state aid rules, low levels of funding that are applied for by the UK from EU pots that leave us very much as the poor man of Europe, and a pervasive level of ambivalence that leaves the decision-making door wide open for other countries. I'm not advocating we replicate some other countries where there are, for example, up to 30 staff on the ground in Brussels actively lobbying for a particular region, but there has to be some form of happy medium that gets the UK viewpoint across. The MEPs do feel a bit isolated. “So, where to start? Well, I'm still going through the copious notes taken trying to distill an accurate picture of what we found out and putting this into a context that will make it easy to translate what is being produced in Brussels and elsewhere, so that for those key issues, we can get a quick response about their impact from members. Make no mistake, the policy machine is still very much cranked up to max in Europe; the problems around the Euro haven't dented the drive for more directives. “What is important is that we mobilise our members and business in general to put an element of reality on all this, and this was something the MEPs were very keen to pursue. When 90% of time is spent creating law and very little if any is spent on taking into account what impact it has on the ground, then there is a very large opportunity there to take advantage of this and begin to overturn the preconceived ideas about "Brussels".